We have something new for you today from the Hype Machine Labs. We call it Fast Forward. Fast Forward is a speedy, immersive way to explore new music being discussed by the world-class blogs we index at The Hype Machine. I mean it: it is really fast. We’ve been thinking about this idea since SXSW 2009, and after some further inspiration, thought to push this experience further. Fast Forward is like a spinning radio dial across radio stations curated by music bloggers. From the latest, popular, or genre channels of blogged music, we show you screenshots of related blog posts, while playing short samples of the songs being discussed. Want to read the whole post? Click the big image on your screen. Like the song? Click the heart to add it to your Hype Machine favorites. Use your arrow keys, space bar, or the > button to skip to the next sample. Now, do this for a few minutes. The favorites you add via Fast Forward won’t be auto-posted to Twitter or scrobbled to Last.fm, if you have that enabled on the Hype Machine, so don’t be afraid to experiment. Find something new to love? Keep going! There’s always more music up ahead. This is still an early beta, so we’d love to know what you like, don’t like, or when something is broken. Please write here. Thanks! SBTRKT is one of the most exciting artists to come out of London’s effervescent “bass music” scene over the past year. Following the release of his wicked debut album (which premiered right here on The Hype Machine), SBTRKT brings his LDN vibes to NYC this week. 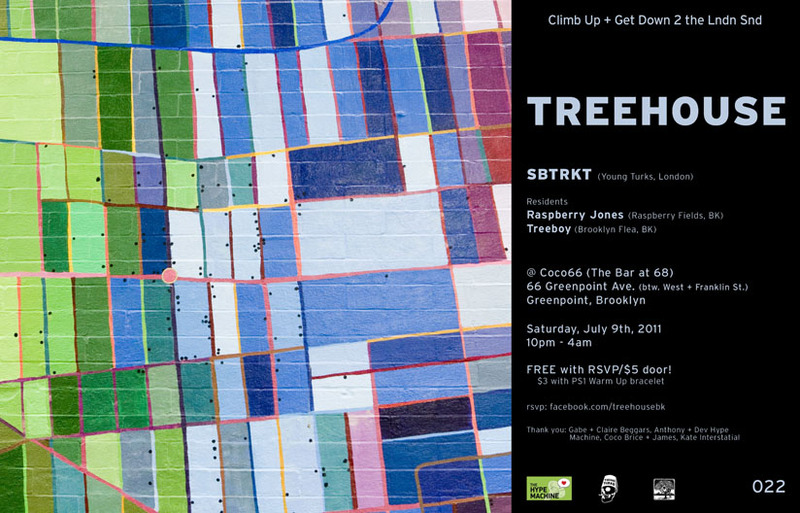 Along with our friends at TREEHOUSE, we’re stoked to co-host a special SBTRKT after-show party on Saturday in Brooklyn. Join the Hype Machine team for a fun hang and a big set behind the decks from the man himself.